Offering you a complete choice of products which include engineer's steel straight edges, granite surface tables, cast iron surface tables, cast iron bench center, mini bench centre cast iron base and cast iron straight edges. We provide our clients with Engineer's Steel Straight Edges. 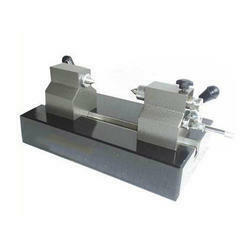 These are widely used for checking straightness and marking purposes. Steel straight edges are made using high quality steel and are available in hardened and unhardened form. 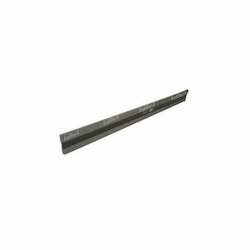 Our steel straight edges are hand scrapped or lapped to achieve the desired accuracy as per standards. Light in weight, design of these straight edges make them ideal to use in various industries such as Glass, Fabrication and windmill. The Engineer’s steel straight edges of bigger size are provided with milling slots to reduce weight. Our Steel Straight edges are supplied with computerized calibration certificate traceable to National Physical Laboratory (NPL, Govt Of India ) New Delhi. We are Granite Surface Tables are trading using natural black granite stone, quarried from earth in its natural form. These precision granite surface plates are precision lapped to high standards of flatness to achieve accuracy and are used as bases for mounting sophisticated mechanical, electronic and optical gauging systems. Our quality inspectors and engineers put a strict vigilance at all the stages of the production procedure to ensure high quality plates. Further, the final inspection is carried out by a high precision computerized electronic level made by wyler of Switzerland. Our range of precision granite surface plates are utilized in precision tool rooms, engineering industries and research laboratories. 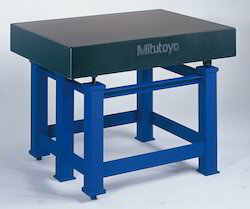 We offer a qualitative range of precision Cast Iron Surface Tables. 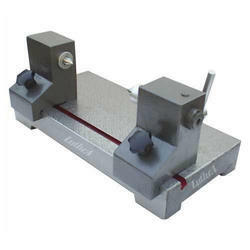 These cast iron surface plates provide an accurate reference plane for precision gauging, inspection and tooling setup. We make use of good quality closed grain cast iron that is as per the is 210:1993 confirming to grade fg-220. The meticulous manufacturing processes that are carried out at our premise makes these cast iron plates apt for machine shops, quality control and standard rooms. Our precision cast iron surface plates are utilized in the applications, where strict accuracy required hence, these plates are appropriate for high precision work and are ideal for blue matching.We lay a lot of emphasis on the quality and traceability of our cast iron surface plates. Our team of qualified engineers carries out rigorous quality control inspection to test these plates on the criteria of flatness and efficiency. The final inspection of these plates is undertaken by a high precision computerized electronic level make wyler of Switzerland. Backed by a team of experts, we are offering a qualitative range of Cast Iron Bench Center that are accurate and quick method for inspecting radial run out of camshafts, crankshafts and cylindrical shafts. 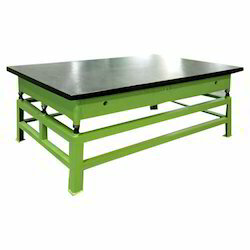 Manufactured as per IS: 5980-1978, these cast iron bench centers are utilized in machine shops, tool rooms and standard rooms for checking various parameters such as concentrically , parallelism and true rotation of components. The bench centers manufactured at our works are made up of close grained cast iron and finished to higher degree of accuracy by hand scrapping. Luthra mini bench centres are specially designed for checking concentrically, parallelism and true rotations of components having smaller dimensions. These mini bench centres are cast iron based and are widely used in industries manufacturing smaller CNC turned automobiles parts, watch spares and microscopic parts etc. where higher accuracies are required. One of the centre is spring loaded to ensure uniform pressure while holding and easy loading and unloading of work piece without disturbing the accuracy. Centres are made from high carbon steel hardened and ground finish, having morse taper MT-1 and are replaceable. Both heads are adjustable to the required positions, easy and quick setting of the required distance between the centres. Our range of Bench centres are supplied with computerised calibration certificate traceable to National Physical Laboratory (NPL, Govt of India) New Delhi. We are one of the well-known manufacturers of cast iron straight edges that are widely used for erection, commissioning and leveling purpose. I- section straight edges is used to check the surface flatness of large precision area such as surface tables and machine tables etc. 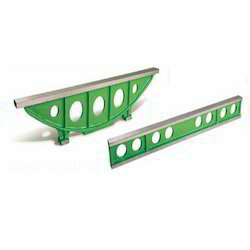 Cast iron straight edges are also used for blue matching during hand scrapping operations .I-section straight edges have wide and parallel working surface for application of spirit level. Luthra I –Section straight Edge are made as per IS 5268:1991 Grade-1. Luthra cast iron I-Section Straight Edges are made of good quality closed grain cast iron strictly as per IS 210:1993 confirming to Grade FG-220. 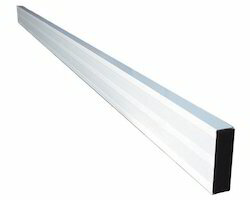 I- Section Straight Edges are supplied with computerized calibration certificate traceable to National Physical Laboratory (NPL, Govt Of India ) New Delhi.